Great to hear you have made such progress. 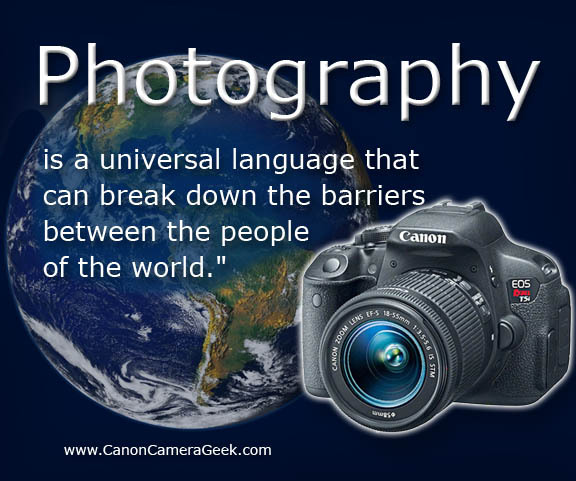 Keep the learning a fun experience and have a blast with your digital photography! Thank you for the advice and links! I have absolutely no photography experience at all. I am just learning to hold camera. Focusing and fighting which hands to get comfortable. My left arm was taken off in auto accident, reattached, limited movement. I am right handed. A coworker is taking classes. She advised me to purchase this kit: 58MM Vivitar Filter Kit (Ultraviolet UV, Circular Polarizer CPL, Fluorescent FLD) + 58MM ND Neutral Density Set (ND2, ND4, ND8) + Carry Pouch + 58MM Tulip Flower Lens Hood + 58MM Collapsible Rubber Lens Hood + 58MM Snap-On Lens Cap + Cap Keeper Leash + MagicFiber Microfiber Lens Cleaning Cloth. I bought for 25$ from Amazon. She attached polarizer lens and the rubber lens hood. I have been practicing holding camera and focusing with it set on auto green box. (face turning bright red). I just purchased camera and have begun reading online, found you, downloaded beginner magazines, watching videos, etc. I have experience in Computer Hardware, Software, Maintenance and Support so am trying to be confident I can learn this camera. We shall see!